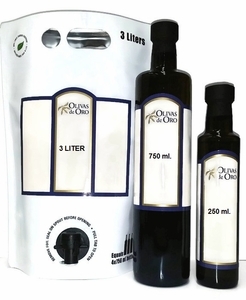 This distinctive basil olive oil is grown utilizing sustainable farming practices. It has a fresh basil flavor that can only be achieved by cold pressing basil and late harvest olives together. The oils from the olives and the basil are extracted and perfectly combined during the milling process. Unlike infusing olive oils, this method creates a true basil olive oil that will not separate or lose its flavor during cooking. It is superior in quality and flavor intensity. It is the perfect grilling and sautéing olive oil. Toss it with pasta and salads. Drizzle it on tomatoes, steamed vegetables, fall soups and soft cheeses.